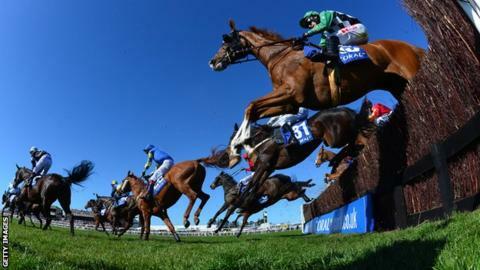 Saturday's Grand National at Aintree simply wouldn't be the same without a sweepstake. As well as having a bet on your favourite horse, give yourself another chance by pooling together work colleagues, or a combination of family and friends, and having a lucky dip. The field was reduced from 40 to 39 on Saturday morning after O'Faolains Boy, trained by Rebecca Curtis, was found to be lame and withdrawn from the race. Most devices will open PDF documents automatically, but you may need Adobe Reader. Users of the BBC Sport app should access this via their web browser.